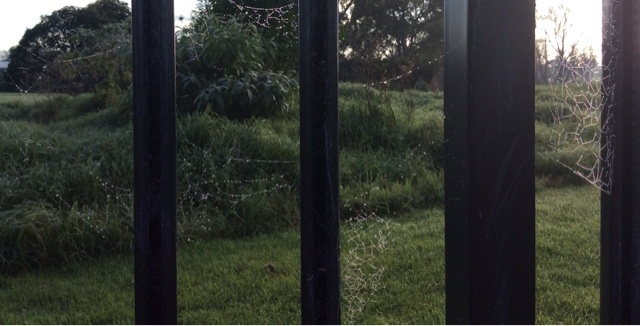 The wet icy spider webs are sparkly clean because the sun is reflecting from the sky. I can barely see my reflection. The dew from the rain drop is beautiful because it looks like beautiful diamonds.